Even in an age when few patches of Livingstone’s “dark continent” remain unexplored, an adventurous heart cannot fail to beat faster at the thought of a trip to Africa. To wildlife enthusiasts it offers the most awe-inspiring concentration of big game on earth and to the anthropologist it is “the cradle of humankind” and home to fascinating cultures from the Tuaregs of the Sahara to the San of Southern Africa. The modern-day “explorer” can still choose between the endless savannah of the Serengeti, the desiccated wilderness of the Kalahari or the dark, brooding rainforests of the Congo. You can blaze trails across the hidden interiors of countries that are relatively un-travelled or stick to areas that have established tourism facilities…where adventure might take the form of a rafting expedition down one of the world’s greatest rivers or drifting in a balloon at dawn above the stampeding herds of the Maasai Mara. The highest concentration of African wildlife is found in East and Southern Africa and it is only here that you can achieve that perennial safari wish-list of bagging the Big Five. Traditionally these animals (elephant, rhino, buffalo, lion and leopard) were just the ones that were most sought-after by trophy hunters, but even today many countries rate their parks and reserves according to whether they are Big Five parks.Tanzania’s Ngorongoro Crater might be the easiest place in the world to sight the Big Five and it is certainly one of the best places to see the more elusive black rhino, since here the animals spend an unusual amount of time grazing in open country. Rhino, though rare, are not necessarily hard to find since their whereabouts are invariably known to the rangers who are employed to protect them. The leopard, on the other hand, is Africa’s commonest and most widely distributed big cat, yet its shyness and cunning paradoxically make it the most difficult of the Big Five to see. In 1889 two man-eating lions brought the British Empire to a standstill when they began a killing spree that within months had accounted for scores of labourers on the “Lunatic Express” railway line to Uganda. Today the offspring of the Man-eaters of Tsavo are amongAfrica’s most famous big cats. Throughout Africa the Maasai Mara is famed for its mind-blowing concentration of animals. Huge herds of wildebeest (an estimated 1 million! 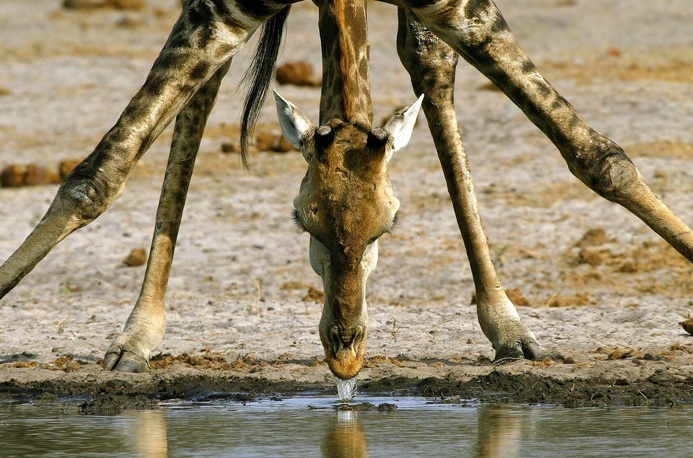 ), zebra, Thomson’s gazelle, hartebeest, eland and topi roam the savannah while elephant, hippo and crocodiles occupy the waterholes. The region is also famous for its incredible concentration of big cats and, of course, as the venue for the Great Migration. More than 80 percent of the animals in what the WWF has called “the world’s number one biodiversity hotspot” cannot be found elsewhere. From the pygmy mouse lemur (not much bigger than a “pygmy mouse”) to the indri (like a four year-old boy in a panda costume), lemurs are certainly Madagascar’s biggest zoological draw-card. There are few wildlife experiences that can compete for suspense and sheer excitement with coming face-to-face with a silverback mountain gorilla in his jungle domain.Uganda’s Bwindi and Mgahinga national parks are the most popular areas for gorilla safaris. At Laikipia, on the northern flank of Mt Kenya, wild dog populations are on a healthy increase. Laikipia’s Lewa Downs reserve also boasts the world’s largest concentration of rhino and unparalleled numbers of the rare Grevy’s zebra. Home to the last of the dinosaurs. Crocodiles up to 6 metres long are still regularly seen in the delta…making a water-safari in a flimsy mokoro dugout another ofAfrica’s unforgettable experiences. How to take great photographs of wild animals? Take this advice from pro wildlife photographer Dale Morris.